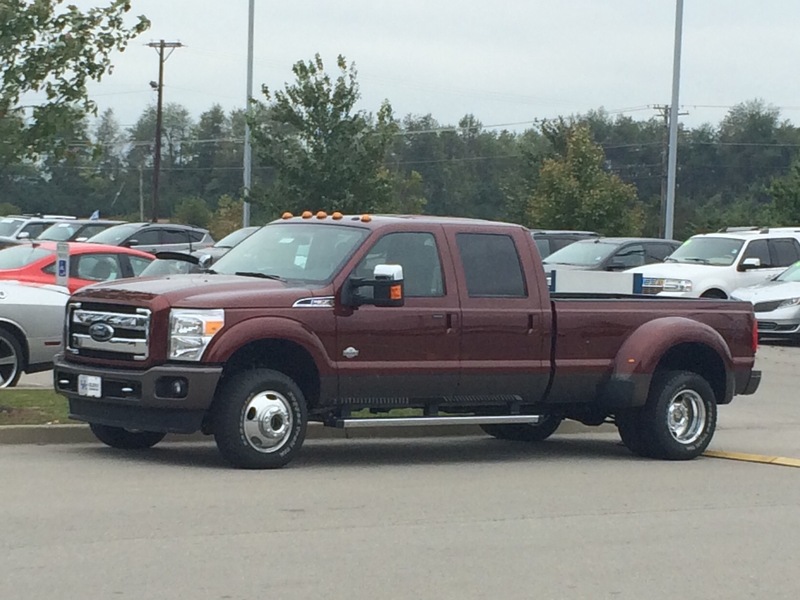 We drove from Evansville to Nicholasville, Kentucky this morning in the rental car to buy our new truck. We arrived in town (forgetting that the time zone changed) and ate lunch at Red Robin. We then headed on over to the dealer. The whole process took about three hours and was pretty much a hassle-free experience. Instead of Malcolm driving the rental car back to Evansville while Val drove the truck (a three hour drive), we decided to pay a little extra and drop the rental car off at the Lexington airport so we could ride together on the way home. After dropping off the rental car, we stopped to visit Val’s sister Anne to pick up her birthday present for Val. We took her out to Culver’s so she could buy us birthday dinner then dropped her back off at her house before heading on back to Evansville. Tomorrow morning, Malcolm needs to make a couple calls regarding the trailer adjuster coming out. He called today because he hadn’t heard anything and the number that he called answered as not in service. We suspect he maybe wrote the number down wrong. We’re hoping we can schedule the adjuster to come out next week as we are currently planning on driving on to North Carolina (with just the truck) for the family get-together that we were headed to before our crash. This entry was posted in Indiana. Bookmark the permalink. Love the truck! You have great taste.. (Same color as our 2013). Enjoy.